In Milan’s time here at Normandy, he was on the wrestling team from 1971 to 1974. He was a three year letterman. Milan was an Elyria Holiday Tournament Champion in 1972 and 1973. In 1973 and 1974, he was a Sectional Champion and District Champion. In 1973, he placed 6th in the State. In 1974, he placed 2nd in the State. Milan was All Lake Erie League in 1973 and 1974. Milan earned the honor of being named Plain Dealer All Scholastic in 1973. Milan was named Co-MVP in 1974. He was also elected to the East-West All-Star Team in 1974. Milan was team captain in 1973 and 1974. 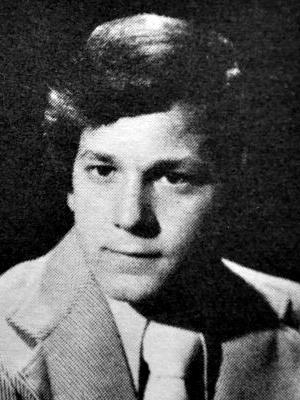 Milan attended Kent State University from 1974 to 1978, where he lettered in wrestling for four years. He was a National Tournament Qualifier in 1975 and 1978. He was a three time M.A.C. placer and the M.A.C. Champion in 1978. Milan was MVP and tournament champion at Rochester Institute of Technology in 1976. He was MVP at Kent State in 1978. Milan graduated from Kent State University with a Bachelor’s degree in biology in 1979. He then went on to Case Western Reserve University and earned his D.D.S. in 1983. Milan currently resides in North Royalton. He is married to Lesa for the past twenty-eight years. Together, they have a daughter named Kaylee. Currently, Milan has had a private dental practice in Parma Heights for the past thirty years.